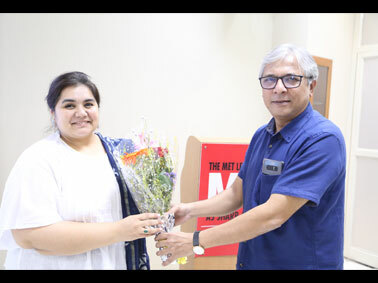 Ms. Shweta Khanna, Senior Editor at CNBC Awaaz, shared the crucial aspect of challenges emerging in Journalism to Post Graduate Diploma students in Advertisement, Entertainment, Public Relations, Journalism and Digital Marketing of MET Institute of Mass Media on 01 Sept, 2018. She spoke about aligning TV programming in sync with social media. Citing real life humorous incidents with the students, she taught PG students in Mass Media, on how to tackle fake news as a sensible reader rather than depending on the sender. She explained in detail about the workings and aesthetics of the TV industry, importance of effective communication in the world of social media and how TV is aligning itself to the same. 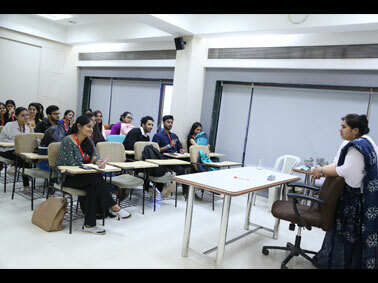 The lecture was then followed by a Q&A session, to resolve the doubts of PG in media students. The session helped students gain a valuable insight into the field of Journalism and Communications.